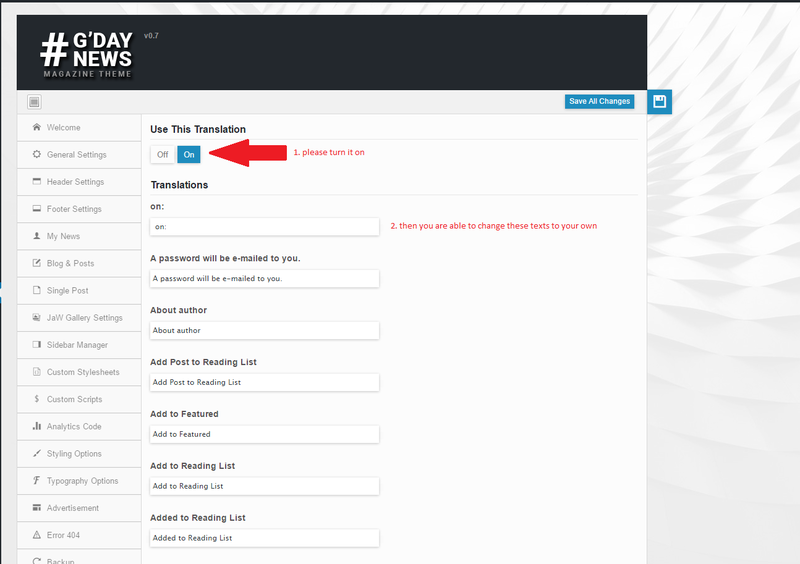 This option allows you to manage translations easily. NOTE: To make the translations work, you need to have created .po/.mo files. Here you can find the strings you want to replease with.